For the second straight season, University of Louisville guard Asia Durr has been named an Associated Press First Team All-American. 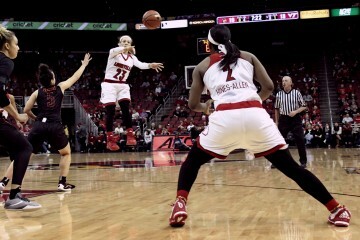 She is the first player in Louisville program history to twice be named an AP First Team All-American. Angel McCoughtry is the only other Louisville player to be named AP First Team All-American. Durr concludes her career ranked second in program history with 2,485 points and 374 made 3-pointers. She ranks first all-time in the Atlantic Coast Conference in made 3-pointers and fifth in points. 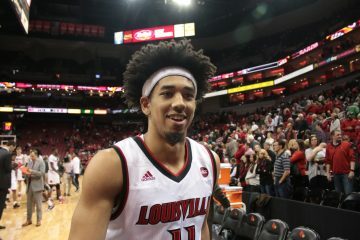 The two-time ACC Player of the Year finishes the year averaging 21.2 points per game, which marks the fourth highest scoring average in Louisville history. Joined by fellow seniors Arica Carter and Sam Fuehring, with 123 wins she also concludes her career as the winningest player in program history.